But, before I share my experience, let me first explain how the evolution in compact camera development impacted both my photography and my business. Years ago, when I was still shooting with my Canon DSLR, I always had two cameras in my bag. I used one as my primary camera and the second as my backup in the event my primary camera failed. This setup was and still is very common among photographers. The two-camera setup was in constant rotation. When I bought a new camera model, I kept the old body as a backup and used the same duo until it was time for the next upgrade. 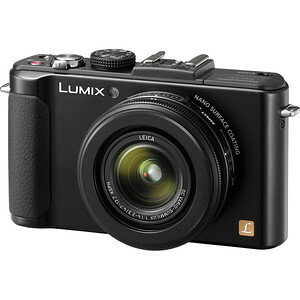 The status quo, however, changed in 2008 when Panasonic released their new compact camera model, the Lumix LX3. The Lumix LX3 was a very small, pocket-size camera with the full functionalities of a professional DSLR, a high quality and fast Leica lens (f/2-2.8) with a useful zoom range of 24-70mm (full frame equivalent). It had a lower pixel count sensor (this was during those silly megapixel wars), which allowed it to achieve a high image quality that was unprecedented for small sensors. On top of everything else, it also had a quality body with a beautiful design. It was an entirely new concept in compact cameras—premium compact models. After a few weeks of shooting with the Lumix LX3, I realized that I no longer needed my second DSLR as a backup. The LX3 had not only become my backup camera but, in some cases, was even my primary when I didn’t want to or couldn’t carry my bulky DSLR. The biggest benefit was how it offered the ability to photograph in dark conditions without the use of flash like in museums and churches where DSLR cameras and tripods are not allowed. After the Lumix LX3, I upgraded to the LX5 and, later, to the LX7 model. I used the LX7 for the longest time and appreciated it the most because of its fast lens (f/1.4-2.0) and manual aperture ring. The only feature missing from every LX model I owned was an Electronic View Finder (EVF). This made it difficult to compose shots in bright conditions, which always bothered me. Because of this, I knew I wanted an EVF in my next compact camera. After visiting Burning Man, my Lumix LX7 slowly started to die. 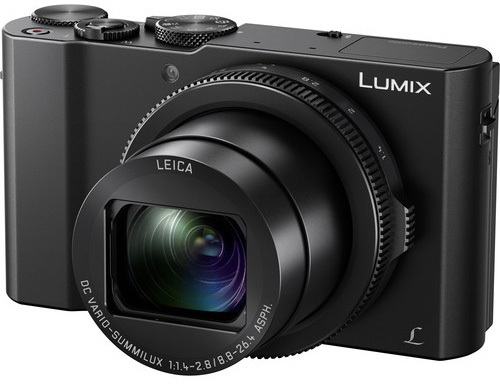 This was perfect timing because Panasonic had just released the LX7’s successor—the Lumix LX10. After going through the specs of the new model, I knew it was a perfect compact camera for my travel photography with only one exception—it still did not have an EVF. This was surprising since Panasonic managed to include nearly every advanced feature imaginable from its high-end mirrorless models like Post Focus and Focus Stacking into the camera’s tiny body. Still, they omitted an essential feature. This is when I started researching to find the best compact camera for travel photography. The rise of smartphones and iPhones has nearly disseminated the entry level compact and point-and-shoot markets. To stay relevant, compact camera manufacturers have had to stay ahead of the latest smartphone technology, making premium compact cameras the only survivors. Top premium compact cameras are not only on par with high-end DSLR and Mirrorless models, they sometimes have even more advanced features like 960 f/sec video shooting or f1/4 zoom lens (24-70mm). The prices of premium compact cameras have significantly climbed and now cost more than entry-level DSLR or Mirrorless models. There are only a few models across all manufacturers that offer a built-in EVF. My research narrowed my choices down to only a few models, all of which were made by Sony. 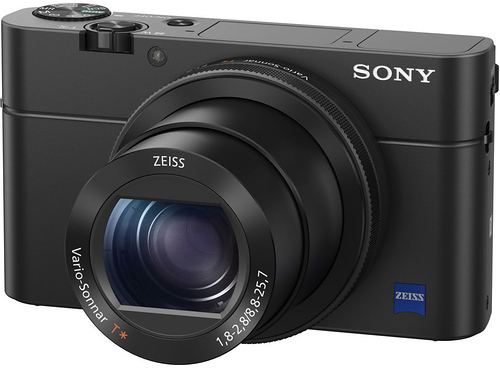 Sony entered the premium compact market in 2012 with their RX100 model and, over the years, have released four additional models: RX100 II, RX100 III, RX100 IV and the RX100 V.
What was unconventional and surprising in the Sony RX100 lineup was that the newer models did not replace the old ones; instead, they complement them with more advanced options. This means that Sony has continued manufacturing all five models that are still available for purchase today. To choose the best compact camera for my travels, I created a table that lists the most essential features of each RX100 model. As you can see, the first two iterations of the RX100 models do not have EVFs so it was easy for me to eliminate these options. Next, I could see that Sony upgraded the sensor with the Stacked CMOS design starting with the RX100 IV model but, based on my research, it did not improve the image quality or increase the dynamic range. They both stayed the same. What changed was the improvements made in the focusing system found from the RX100 III to the RX100 V and the video features (4K video, 960 fps video). This is when I made my final decision. Since I do not produce video content in 4K and I do not shoot sports or any other fast-moving subjects, I have no need for advanced video features and an ultra-sophisticated focusing system. The Sony RX100 III was the perfect compact camera for my travel photography. If you’re like me and mostly shoot stills where an EVF is essential, the Sony RX100 III is a best compact camera for travel. 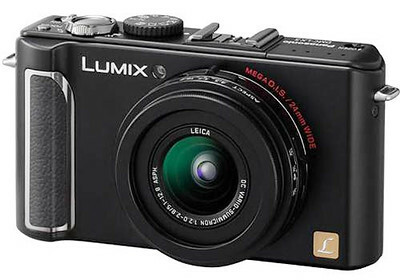 If you do not care about an EVF, the Panasonic Lumix LX10 is the best compact camera for travel with regards to image quality, features and price. If you shoot a lot of videos and require 4K resolutions, the RX100 IV is undoubtedly the model for you. 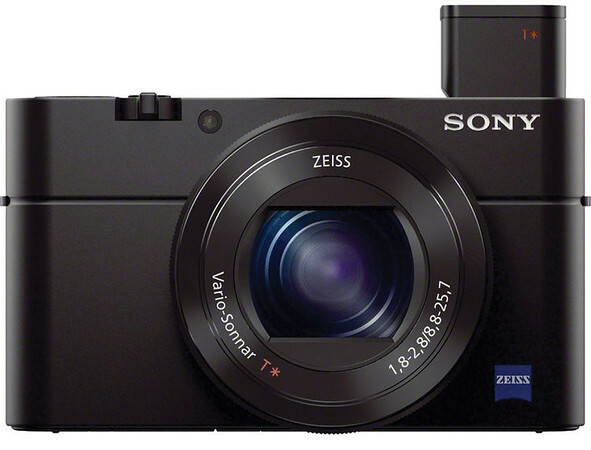 If you are a video content creator or a vlogger in need of advanced video features, the RX100 V is what you need. All I can say is that the RX100 is a remarkable camera. The leap from the Lumix LX7 to the Sony RX100 III is enormous. 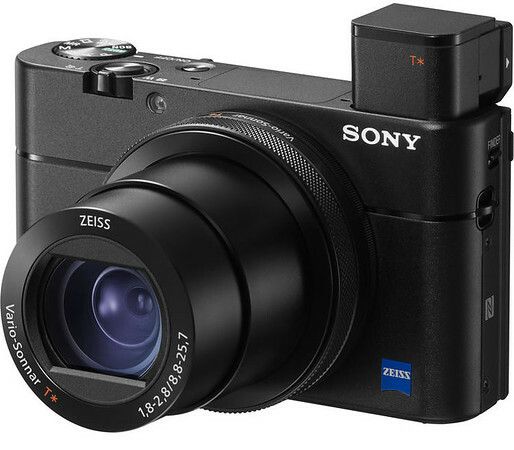 To stay relevant and entice people to use a dedicated compact camera rather than their smartphones, Sony packed all their greatest features into the RX100 models without holding anything back. We all know that Sony builds the best camera sensors in the world, but it’s still remarkable that the image quality produced by the RX100’s small sensor and its dynamic range aren’t far from my Sony a6000, which has a much bigger sensor. Now, I can go on a long hike or a multi-day trip with a pocketable camera and an ultra-light tripod with complete confidence that the quality of my photos will not suffer. The feature I miss the most is the weather-sealed body and lens. 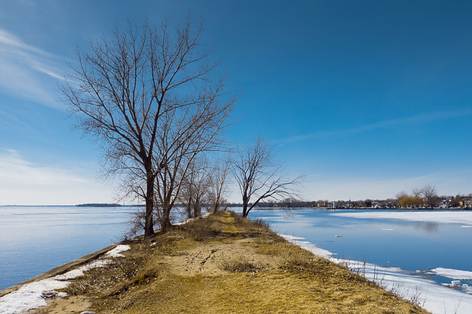 Look at two images I shot with the Sony RX100 III in RAW format. Feel free to download and evaluate them on your computer. 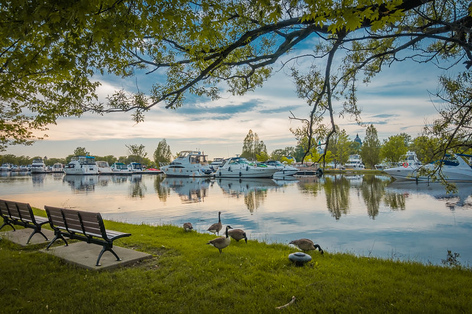 The introduction of premium compact cameras created a new niche in the digital camera ecosystem that allows photographers to use cameras packed with advanced features and unprecedented image quality. 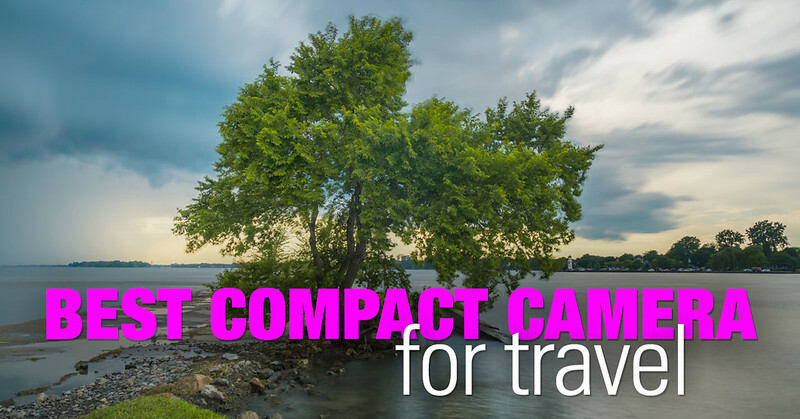 I strongly believe that every traveler should consider complementing their equipment with one of the many premium compact models available. thanx this helps a great deal.